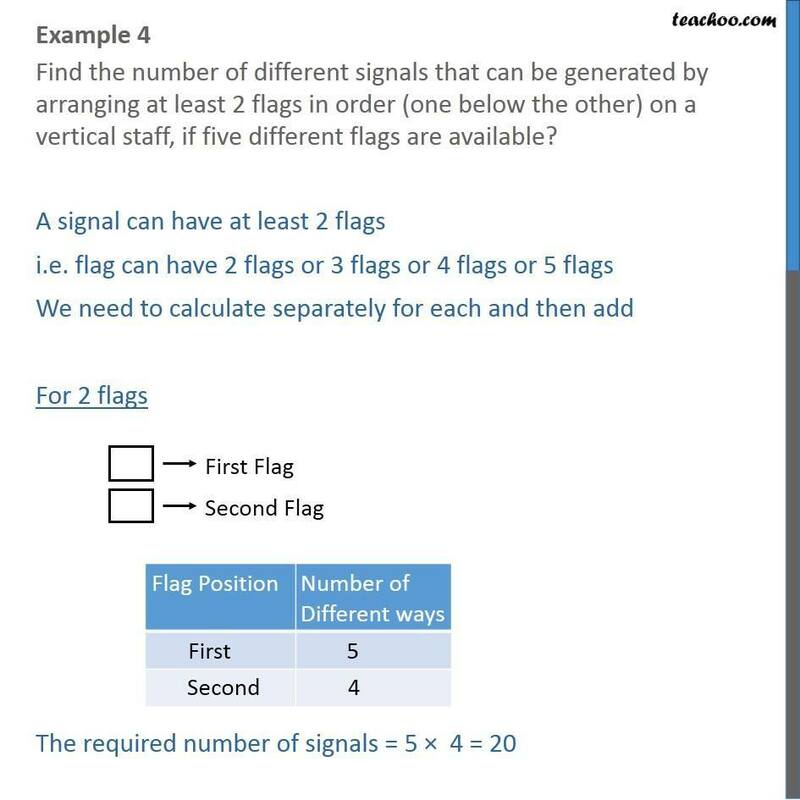 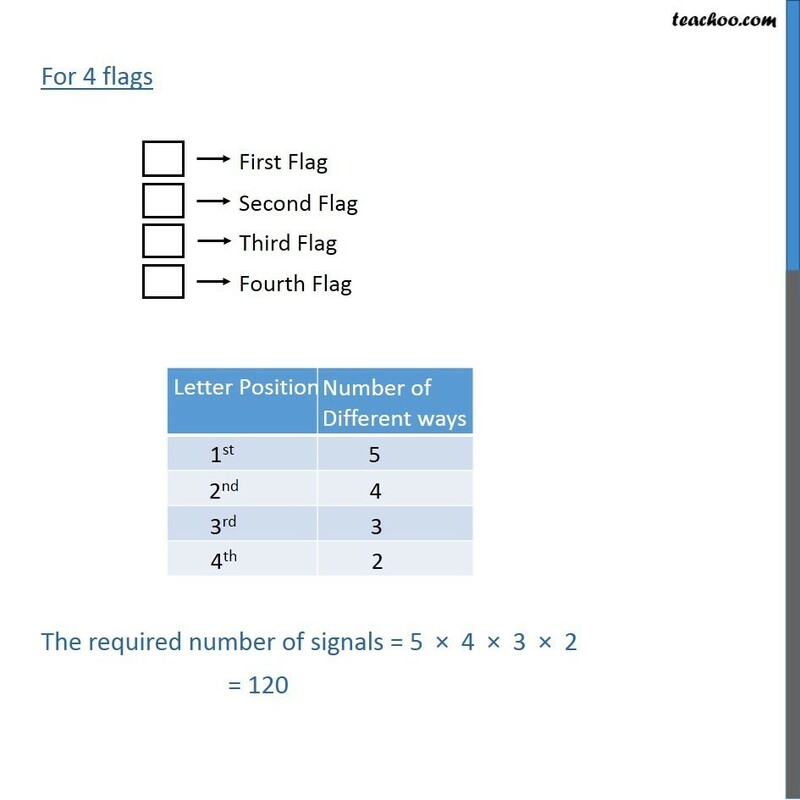 Example 4 Find the number of different signals that can be generated by arranging at least 2 flags in order (one below the other) on a vertical staff, if five different flags are available? 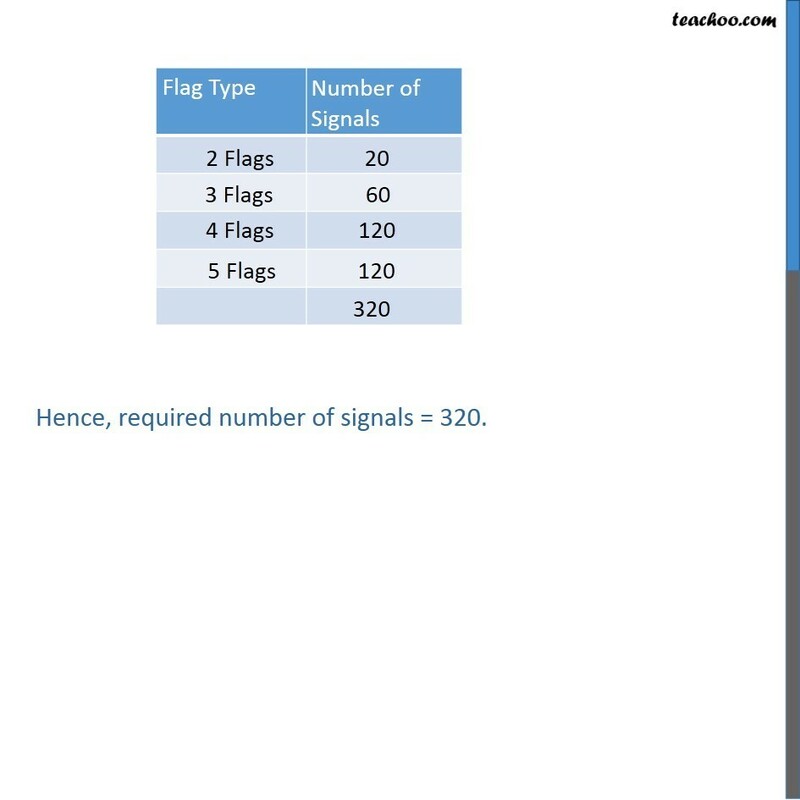 A signal can have at least 2 flags i.e. 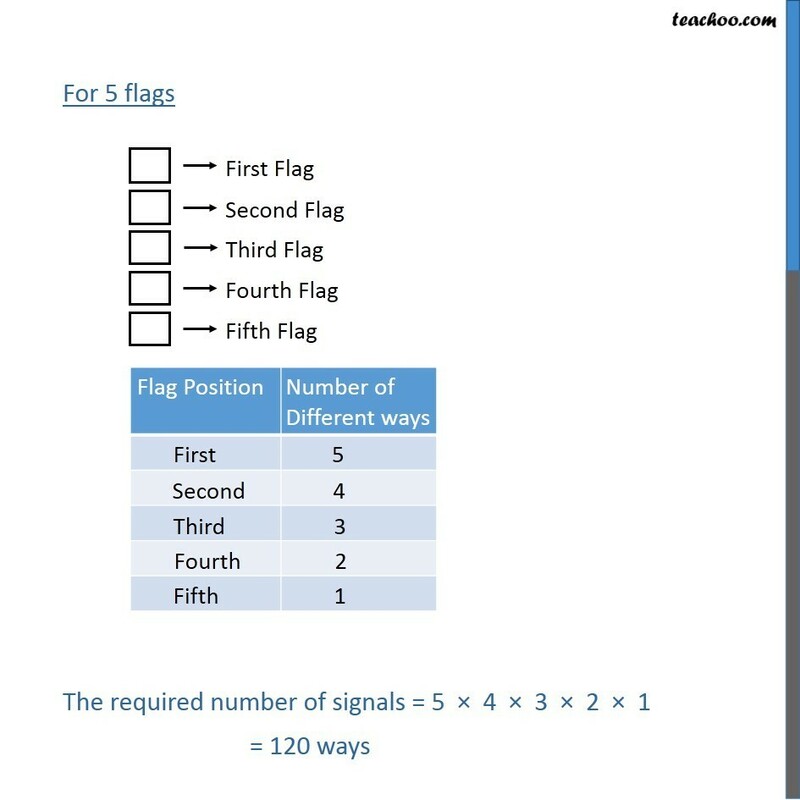 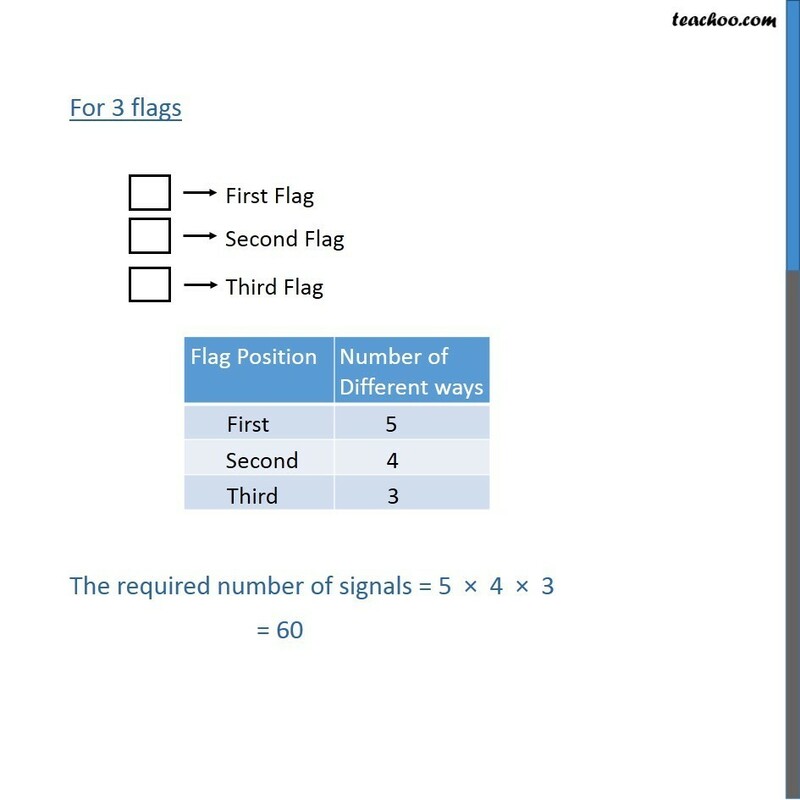 flag can have 2 flags or 3 flags or 4 flags or 5 flags We need to calculate separately for each and then add For 2 flags The required number of signals = 5 4 = 20 For 3 flags The required number of signals = 5 4 3 = 60 For 4 flags The required number of signals = 5 4 3 2 = 120 For 5 flags The required number of signals = 5 4 3 2 1 = 120 ways Hence, required number of signals = 320.